CVS Diapers Only $4.99! No Coupons Needed! 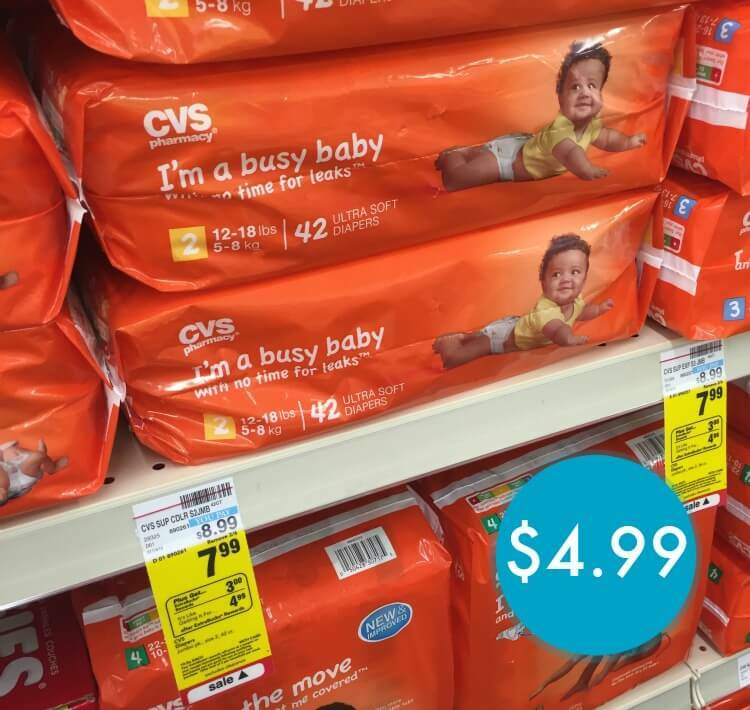 Home / Deals / Online Deals / Baby Deals / Diapers / CVS Diapers Only $4.99! No Coupons Needed! This is super simple! You can get full size packs of CVS Diapers for just $4.99 Per Pack this week through 2/6 and you won’t need any coupons to get them at this price! You can also get a stock up price on Huggies this week! Check out the deal here. Crest Sensi Strips only $0.99 (Reg. $12.99)- No Coupons Needed! Best Price on CoverBlubber Stretchable Food Covers!